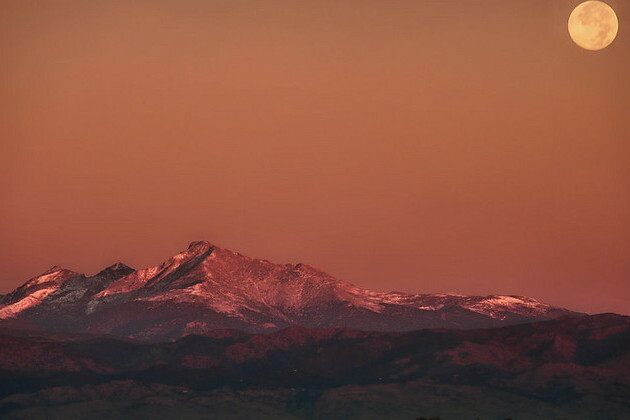 Welcome to the Mile High Roundup, a fortnightly review and recap of some of the interesting things that have happened over the past two weeks in the tech scene in Boulder, Denver, and around Colorado. It’s no secret tons of cool stuff is happening around the state, and this is a chance to catch up. Also, it’s a chance to use the word “fortnightly,” and how often can you do that? In this edition, startups get graphic, Boulder Denver New Tech gets unreasonable, Denver Startup Week gets started, Rally gets published—and robots! START PLANNING: Denver Startup Week is back and is looking for hosts, sponsors, presenters, etc. Last year was the inaugural event and it was a pretty huge success, with more than 3,500 people going to 70-plus events. Planning is underway already for this year’s event, which is scheduled for Sept. 16-21. The organizing team is in place, and now it wants help coming up with events in five tracks: business, design, tech, manufacturing, and social enterprise. BDNT GETS UNREASONABLE: The July Boulder Denver New Tech meetup will be turned over to the Unreasonable Institute, the Boulder-based accelerator for startups trying to solve global environmental or social problems. Reich said it will be a two-day event, with meetings on July 1 and 2. The meeting will give BDNT a sneak peak at the startups. It also will be a chance to grill their founders and help them improve their pitches for the Unreasonable Climax on July 10. TechStars companies will get their turn at the August BDNT. BRAINS FOR BOTS: The standout presenter at the June BDNT was Brian Shucker, an engineer and founder of Talos Robots, which is based in Superior. “Building robots is actually kind of hard,” Shucker said. Just ask well-known nuclear physicist Homer Simpson. Talos Robots is developing control systems for robots that will be affordable for hobbyists and educational STEM programs. The Talos Controller is an advanced system that runs Ubuntu and is powerful but also easy to use because it streamlines a lot of the assembling process. “The idea is to make the bridge from high level software, all the things you do on a PC, down to the real word,” Shucker said. The vision is for the Talos Controller to let robot builders focus on the fun stuff—designing the robot, assembling key components, programming it, and getting it to do stuff—and not have to focus on tracking down parts and soldering. “We’ve eliminated most of the effort in finding the little bits and getting them together, and for me that’s 90 percent of the time,” he said. Robot controllers already are out there, like the BeagleBone Black and Lego NXT. The BeagleBone is considerably cheaper than Talos, which Shucker said will sell for $299. Shucker says the Talos will be worth it because of its greater power and ease of use. Talos has been through a few rounds of prototype testing, and its taking preorders on its website with the expectation they’ll ship later this month or early in July. Oh, and about the name “Talos.” Initially, I wondered if it was a character from a 1950s or 60s sci-fi movie that got lampooned on MST3K. The movie part is right, as it was one of the characters in the classic “Jason and the Argonauts.” This awesome blog post explains more. RALLY WRITES THE BOOK: Fresh off its $170 million IPO, Rally Software Development (NYSE: RALY) hosted its annual RallyON conference in Boulder. “Agile Business” is a collection of short essays on the topic compiled by Rally’s Bob Gower. It’s less a book about how software developers can be agile than about how they can convince their managers and CFO’s it’s worth trying and spending some money on. “One of the big frustrations it seems agile champions have is explaining what they’re up to, why its important, and why people should join them,” Gower said. Brent Barton, former president of Agile Advantage before it was acquired by Rally, put it another way. “Has anyone tried to explain agile to the CFO? Did you last 10 minutes?” he said. SUMMING IT UP: If you’re the “tl;dr” type and want a 10-second explanation of what’s going on in Colorado, start here. It’s an infographic developed by Built In Denver that sums up all that happened in 2012. It pretty much speaks for itself, but new Colorado Technology Association boss (and Xconomist) Erik Mitisek put together a helpful write up.